THE BOOK THAT MY POEMS ARE IN IS HERE! THE BOOK THAT MY POEMS ARE IN IS HERE!! Extra points if you can name the reference there. 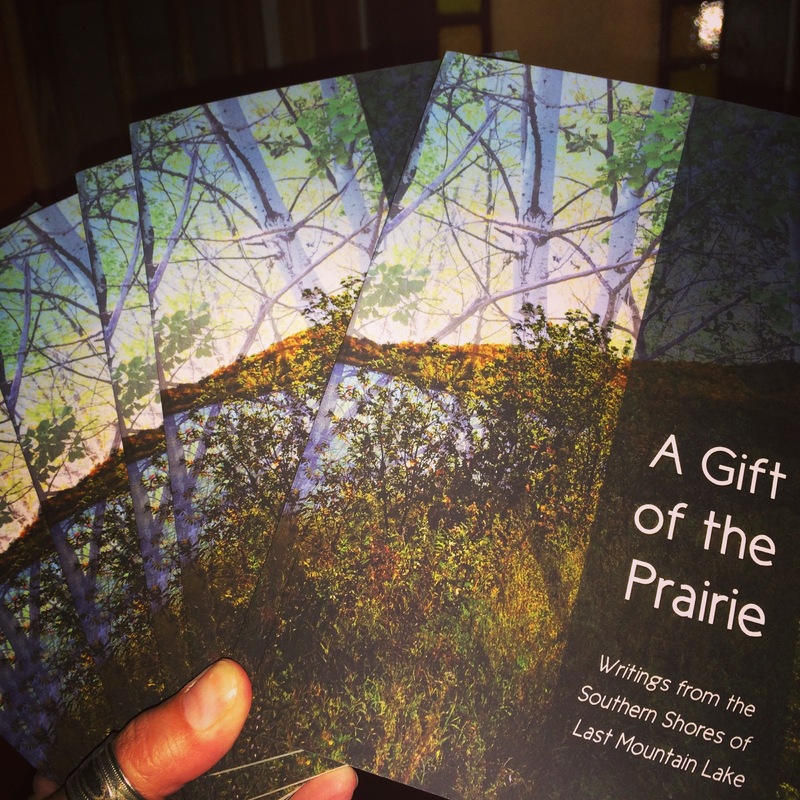 It’s called A Gift of the Prairie and it is published by the Last Mountain Lake Cultural Centre. This was a project co-ordinated (and edited) by the inimitable Bernadette Wagner. The book features pieces by several kickass writers in the Last Mountain Lake area. I’d say more but I haven’t read the whole book yet! You can find the book on the web here or here. 2 pm Monday September 1, Lumsden Beach Hall, Lumsden Beach. 2 pm Saturday September 6, Lumsden Library, Lumsden. 2 pm Sunday September 28, Last Mountain Lake Cultural Centre, Regina Beach. 7 pm Monday October 20,Vertigo Series, Crave Restaurant, 1925 Victoria Avenue, Regina. Congratulations on your launch. Is an ebook in the works? I haven’t heard, but my guess would be not yet. Poetry is a bit of a challenge for flowable content, but I will certainly ask the publisher about digital content!